What movie and soundtrack are they playing at Songbyrd? Songbyrd Music House and Record Cafe is hosting a movie watch and vinyl soundtrack listen series in their Record Cafe, and this Tuesday, September 19 is Reservoir Dogs. If you only go to one, this is the one! The Reservoir Dogs soundtrack is awesome, I’ve definitely listened to it more than any other soundtrack. Currently, I’ve reconnected with the Singles soundtrack and that’s given me renewed energy around listening to soundtracks. You can also buy the soundtrack on vinyl. 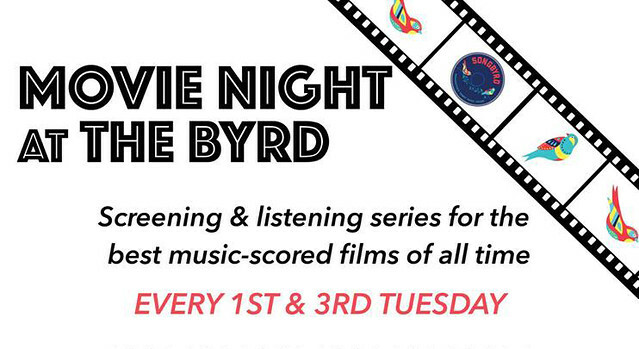 Get over to Songbyrd for music and a movie!